Can I have a moment of silence for these two good looking men (Common & Channing Tatum), please? Mmm…mmm…mm!! God is good and TGIF!! What is it with ladies and shoes? -Seriously I need answers. lol! Another human being who doesn’t seems to age is, Naomi Campbell. Is there a Benjamin Button pills sold somewhere that we should know about? Kerry Washington attended the Film Independent Spirit Awards looking gorgeous in this black dress. The 6,000 pearls custom-made Calvin Klein gown worn by Lupita Nyong’O has been stolen. Allegedly, the gown was nabbed by someone in the London Hotel in West Hollywood while the actress was out of the room. Damn!! People don’t waste time at all eih!? Dear God, please let me have this kind of marriage someday in Jesus Name. Amen!! White never looked this good!! Wow! Rita Ora has definitely stepped up her style game of late. I love 80 percent of what she has been wearing. -Elegant and classy! Halleluyah, Reese Witherspoon! This Tom Ford gown was surely made for you. Stunning!! I hate the high slit of Chrissy Teigen’s Zuhair Murad gown, but the colour is to die for and she’s such a beautiful woman. Flawless makeup too. Jenna Dewan-Tatum killed it on the red carpet at the Oscars. Channing Tatum, you’re one lucky bloke. Lol!! 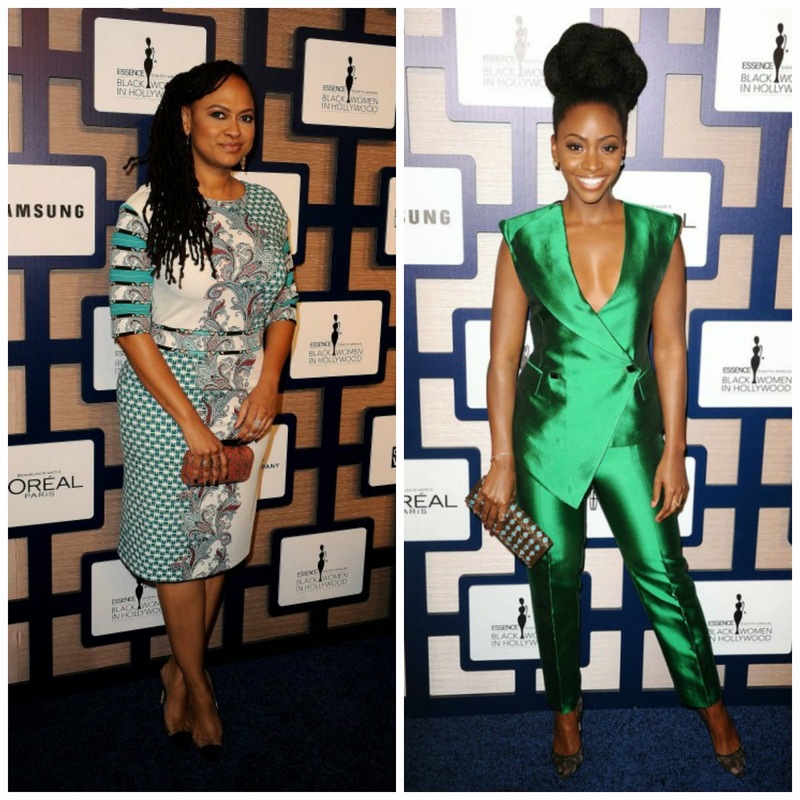 Ava DuVernay, director of the Oscar-nominated movie Selma, looked beautiful in a printed dress at the Essence Black Women in Hollywood event. Actress, Teyonah Parris also attended the event looking bold and beautiful in this green silk number. Love the hair. Kelly Osbourne: I didn’t get your purple colour hair at first, but I like how you’ve owned it. It has grown on me and you looked wonderful at the Oscars too. Rosamund Pike, you’ve showed us that sometimes simple is more. I can’t speak for others, but I love this Givenchy couture dress on so many levels. Beautiful! Luvin anything? Hit me up down low.